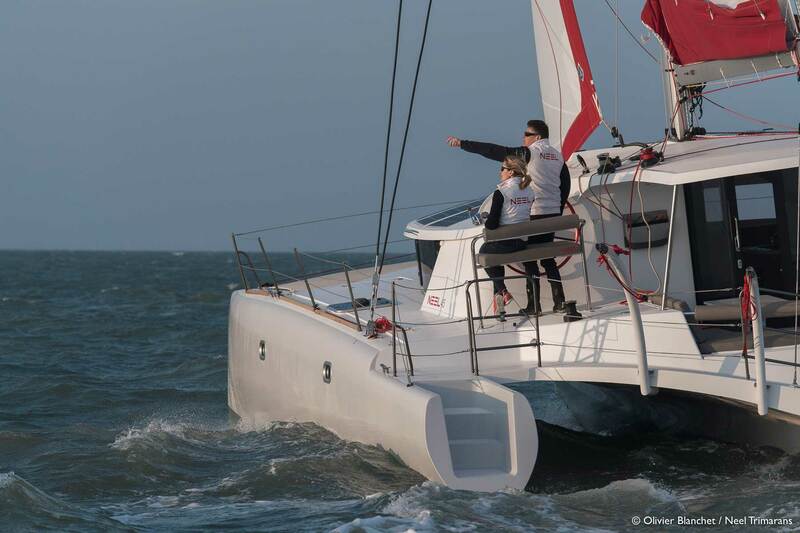 Since at least the record-time winning of the transatlantic regatta ARC in the year 2015 by the Neel 45 “LA CARAVELLE” it became clear what a great sailing potential is in the trimarans from La Rochelle. 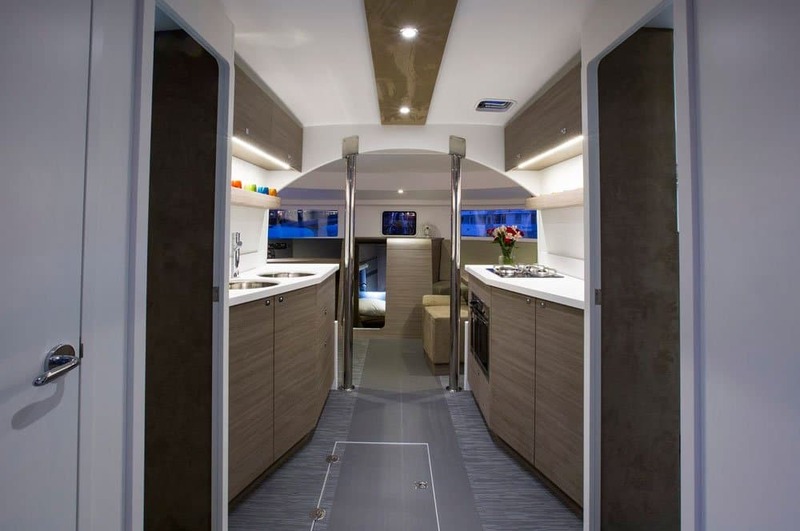 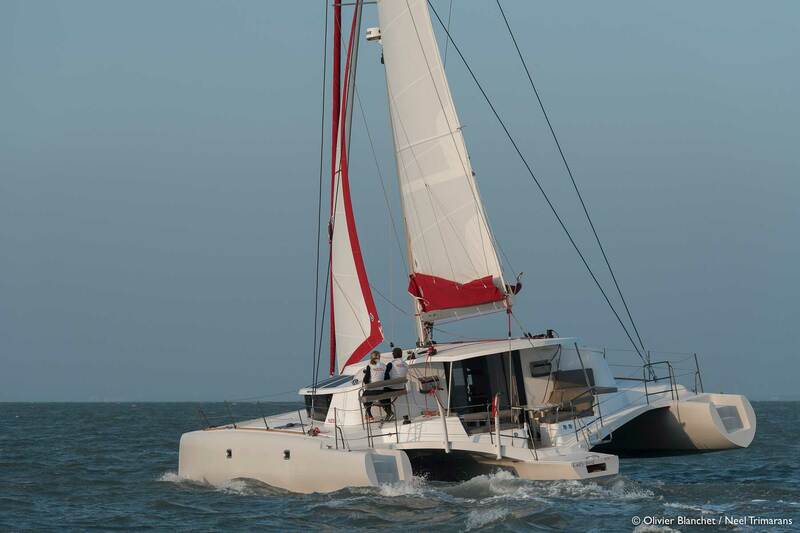 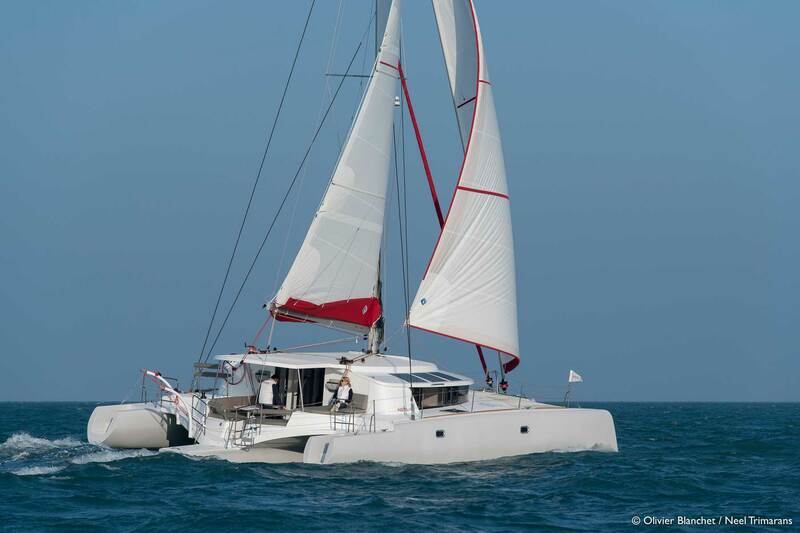 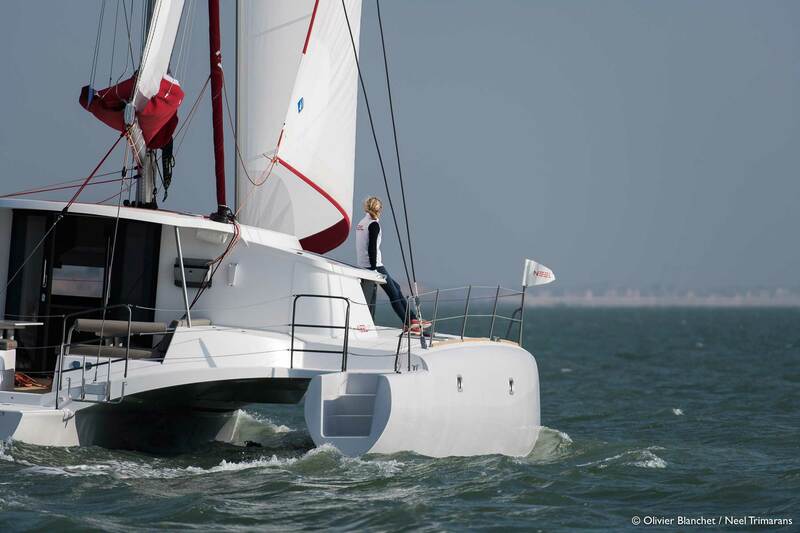 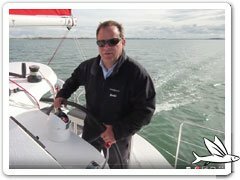 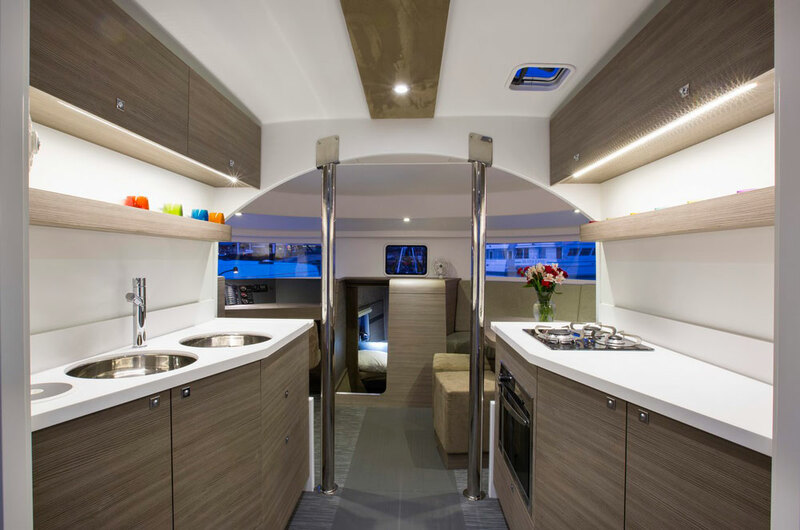 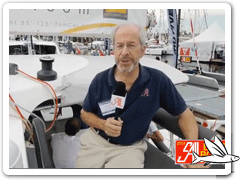 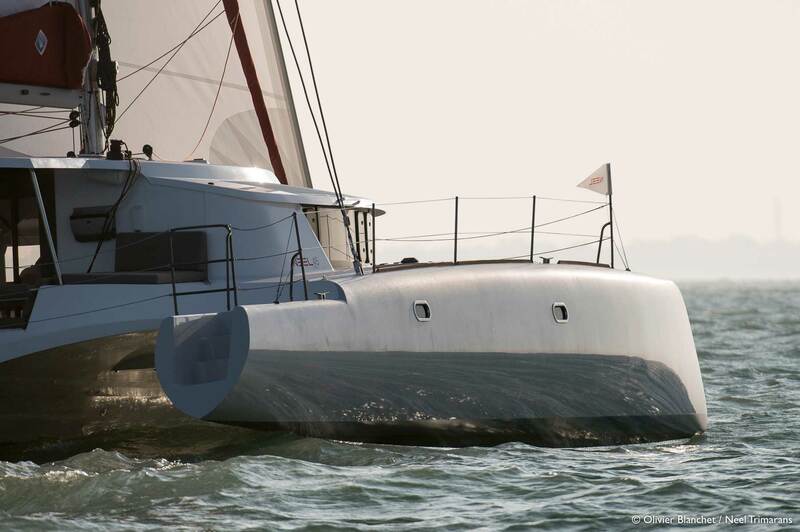 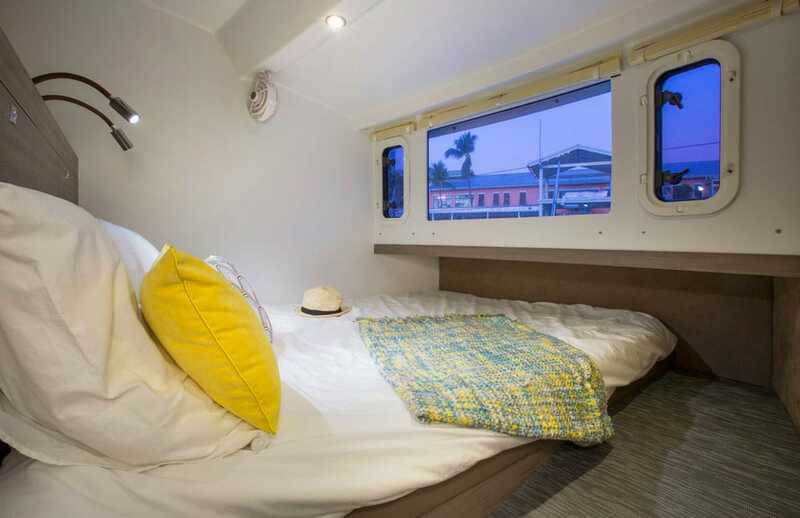 The experienced and successful multihull sailor Eric Bruneel has won several awards in recent years with his concept in collaboration with the well-known yacht designers Joubert / Nivelt / Mercier. 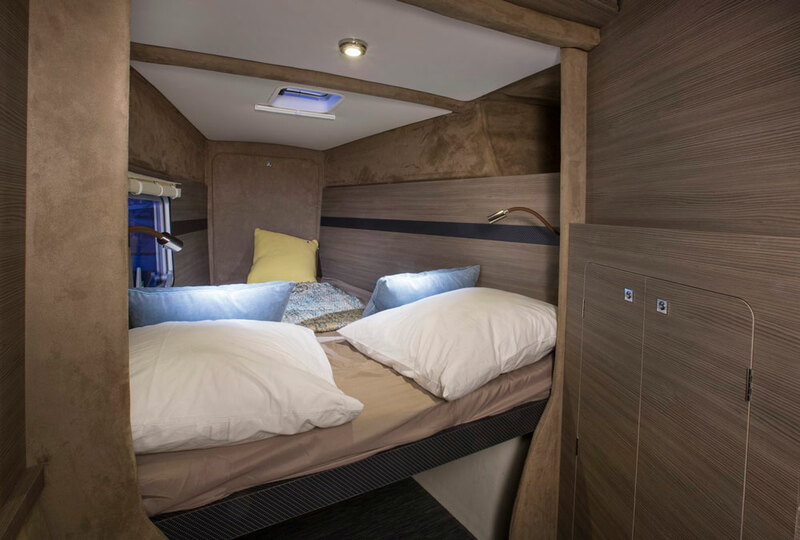 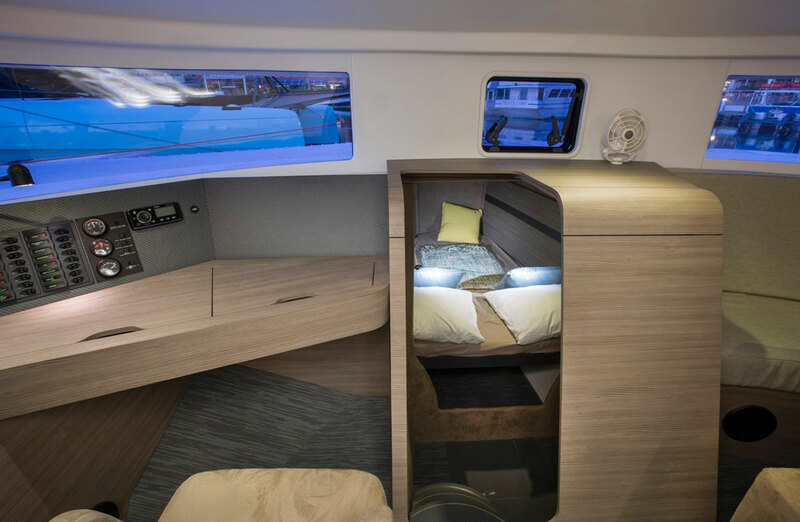 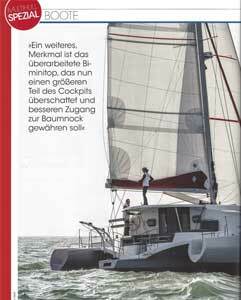 The revised “Neel 45” introduced in spring 2018 with the addition “Evolution” is a further development of the first range with several useful improvements. 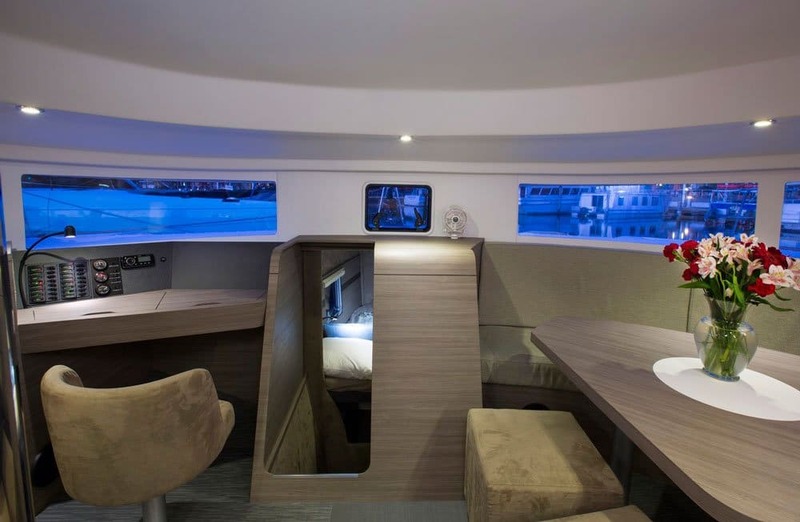 So the tail end of the float was equipped with a staircase and the cockpit is covered for the purpose of walkability with a solid Bimini. 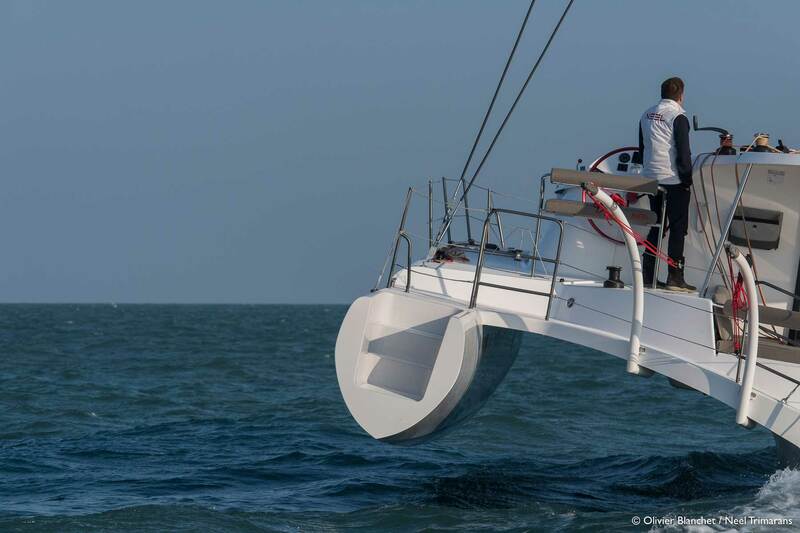 An optional daggerboard in combination with a larger rig increases the sailing performance even more. 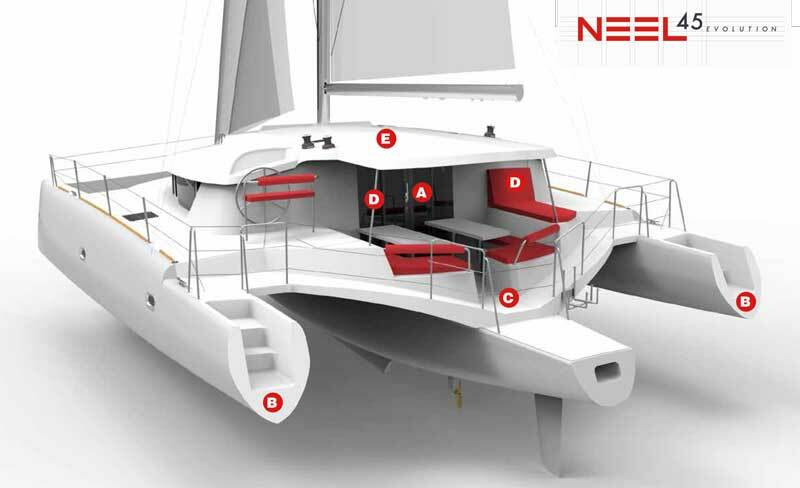 Two interior variants and many other options in the equipment and the finish are now selectable. 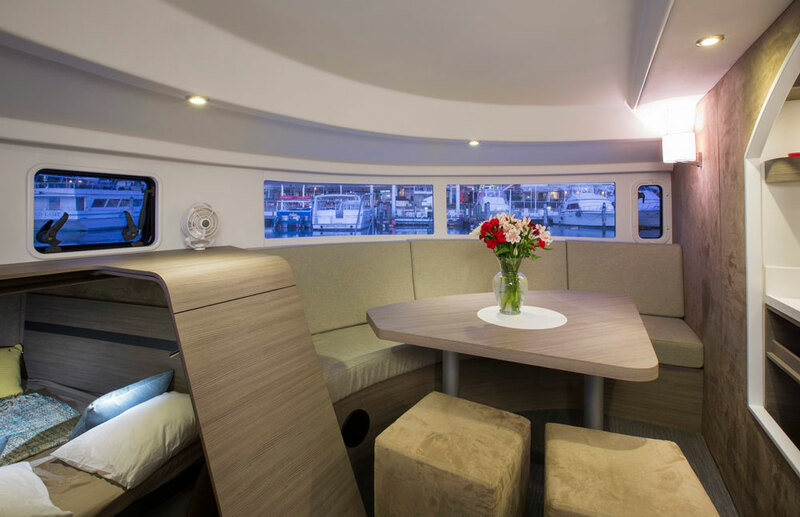 So the overall package is according more to the wishes of the customers. 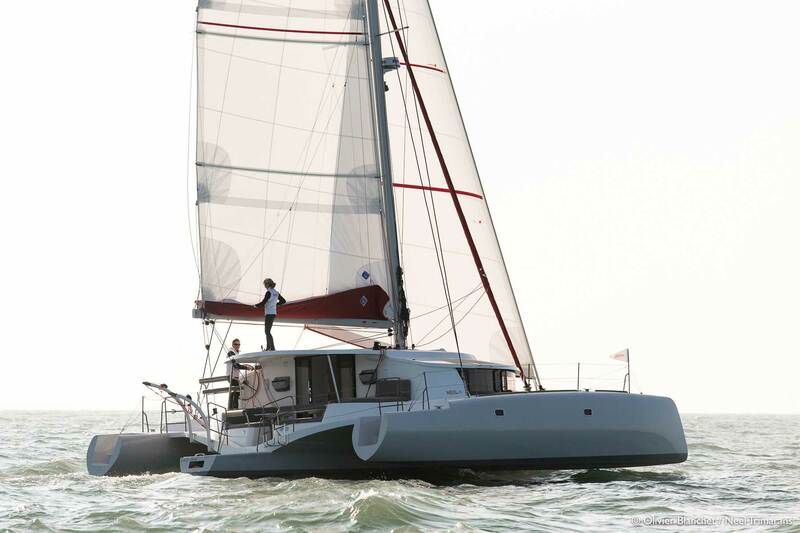 The Evolution line is thus a fine upgrade of the proven Neel 45!